how is is possible that thanksgiving is next week?! to kick back, relax, be with family, and focus on our blessings. since we moved from the south, our little family has had thanksgiving by ourselves. it's a lot of work to cook an entire thanksgiving meal all by myself, but it's a chore i have come to love. i really like the simple look and textures on this table. did you notice the subtle stripes on top of the burlap runner? SO pretty. 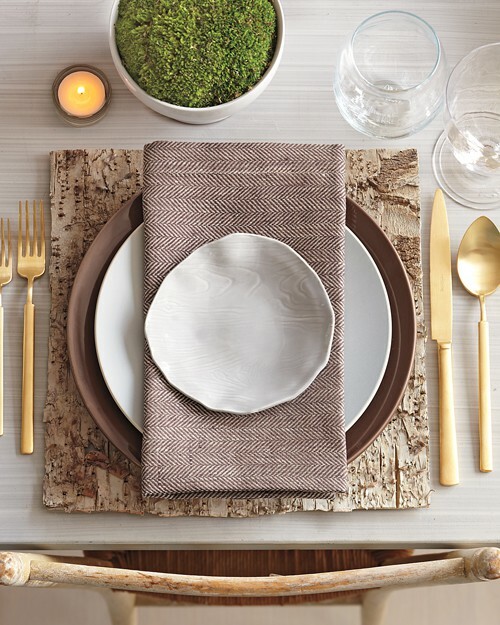 the herringbone napkins, bark chargers, faux bois textured plate, and gold silverware on this table setting are seriously making me weak in the knees. LOVE. i have a ton of branches in my yard, and vases like these are super easy to find. 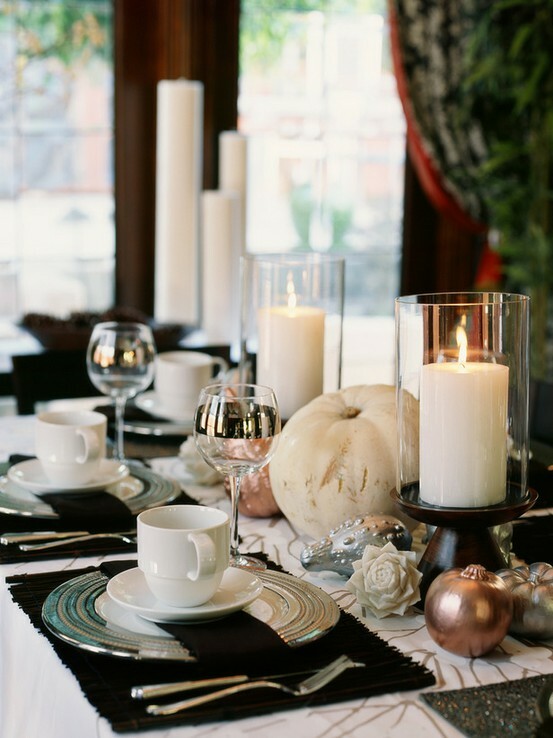 this table scape is sophisticated and simple. i like the mix of metallics. 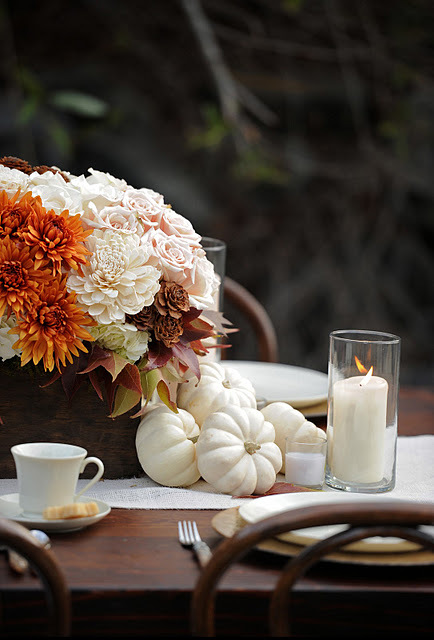 little white pumpkins are perfect! 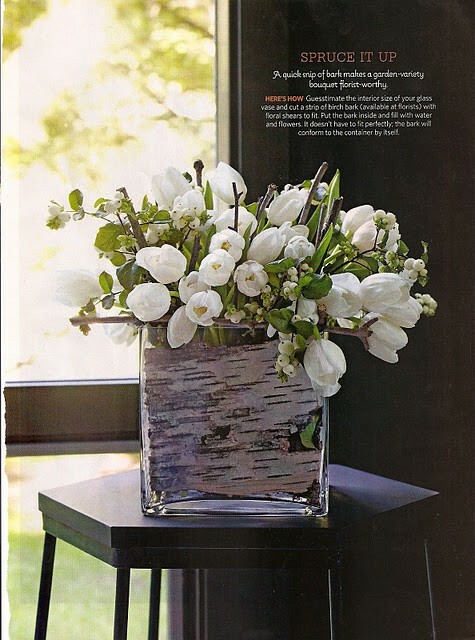 i have always loved the way these white tulips look against the aspen bark. so simple and monochromatic, with so much texture. i really like the orange roses and very traditional feel here. aren't the colors in this arrangement GORGEOUS? *sigh. 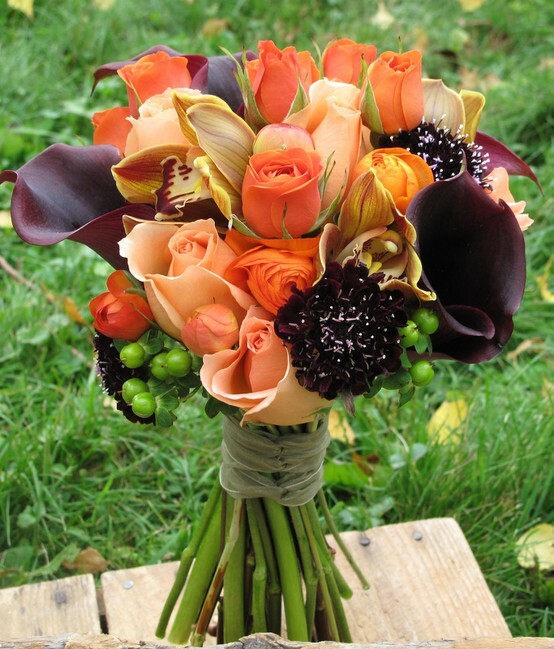 the orange and peach roses (my faves) look amazing with the bright green and deep purples. using a bright color like this turquoise would look wonderful with browns and other neutral colors. that pear would be a fun and easy diy project. 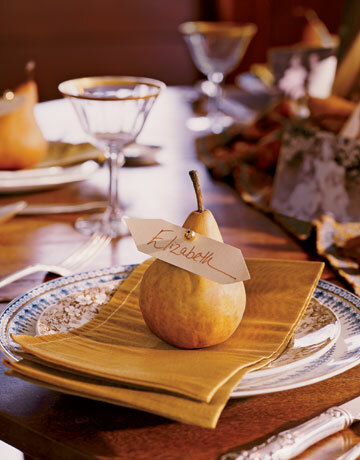 another diy pear place card holder...this table is so pretty and just screams "thanksgiving!". 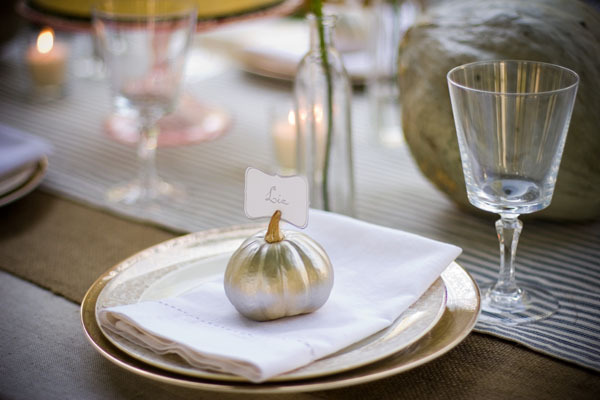 the soft green pumpkins are so pretty paired with the yellow gourds, orange pumpkins and other natural elements. 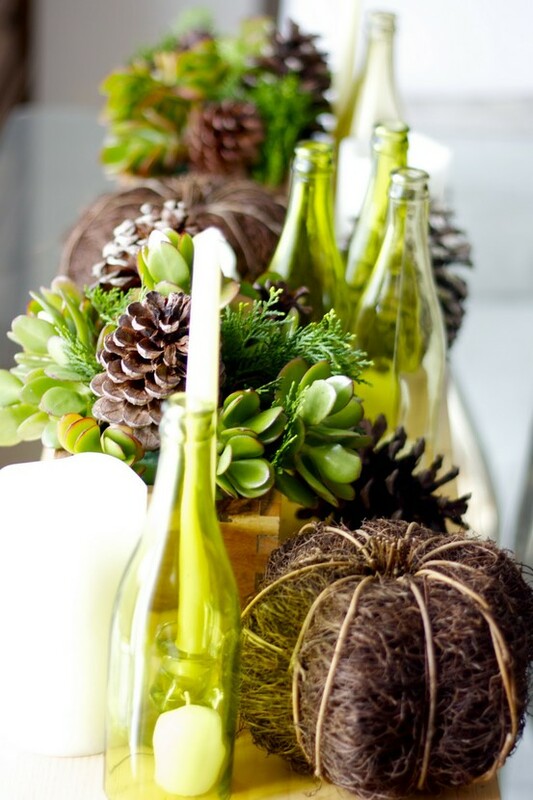 and i LOVE the mix of succulents and greenery with the pinecones. SO many pretty choices, so little time and motivation. hmmm. if i start RIGHT now, i just might be able to pull something off. 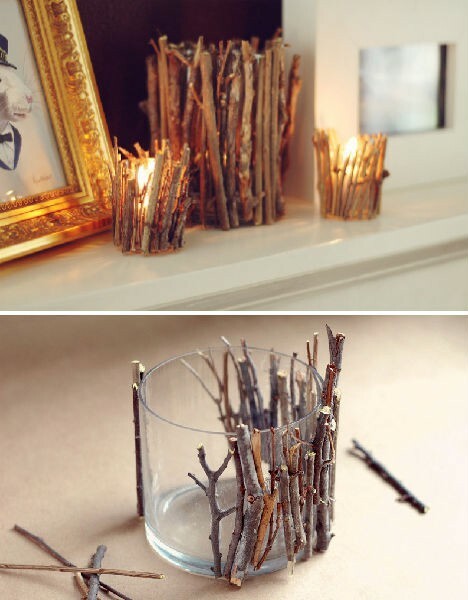 I've been eyeing those homemade twig votives for awhile now. They've been sitting in my DIY file on Pinterest of course! Thanksgiving is the perfect time for them! 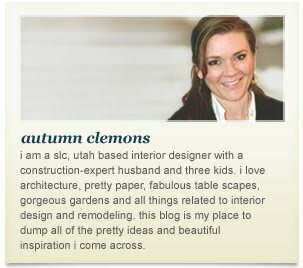 Thanks for you nice comments on my blog! 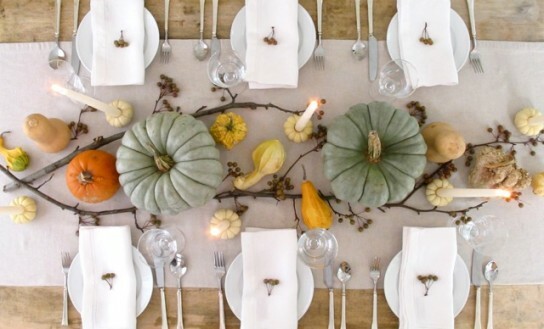 There are so many natural elements that are perfect for creating a Thanksgiving tablescape without spending a lot of money. Having these inspiration images to help I have no doubt that your family will be gushing over more than the food this year. I cant decide which I like the best. 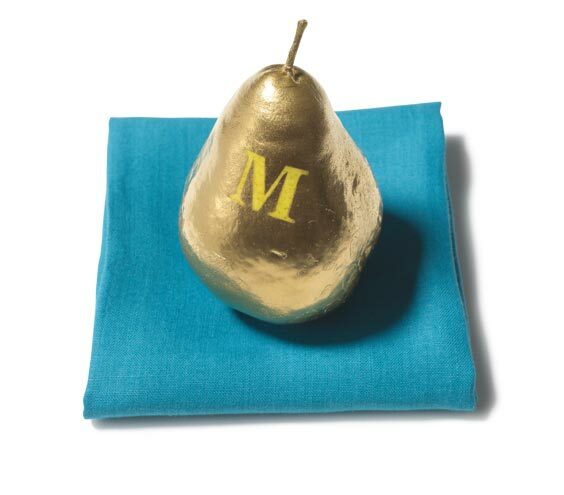 I *think* Im going to have to say the birch charger with gold flatware. Awesome inspiration! I am thinking simplicity! Like in so many of your photos. I am using all the free pine cones all over the ground. I thought I had my centerpiece all firgured out. It was simple but cute enough. I set a fresh pumpkin in the center of a "Fallish" wreath & called it a day. After a month, the pumpkin started to rot & get moldy. So now I need to come up with something else. So thanks for some inspiring pictures. These are incredible! 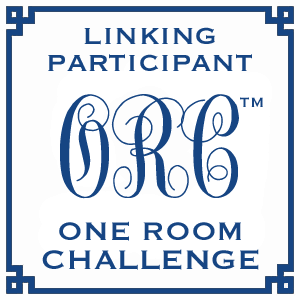 So many fabulous ideas!! !